Whether you are celebrating 10th, 25th, or 50th anniversary, these custom printed photo jars make great favors. 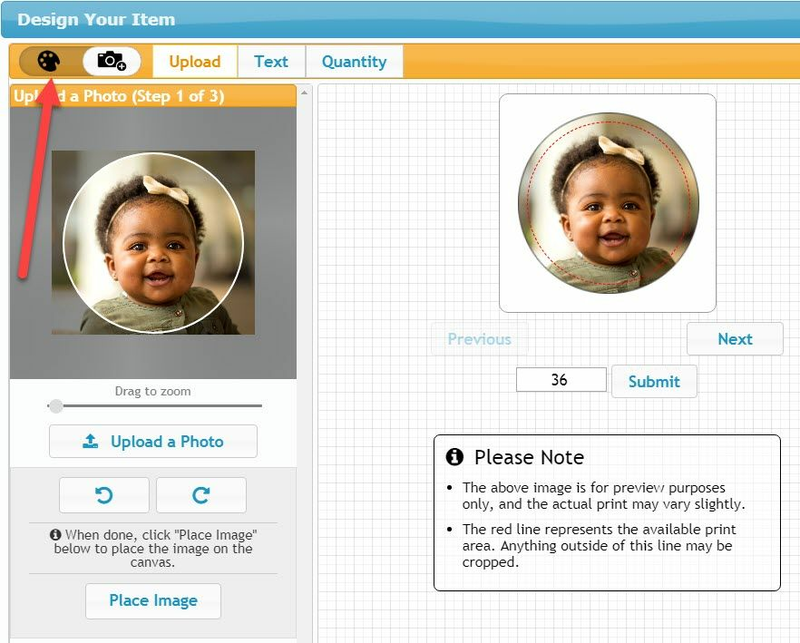 Upload your favorite photograph and create your own label image on our designer. 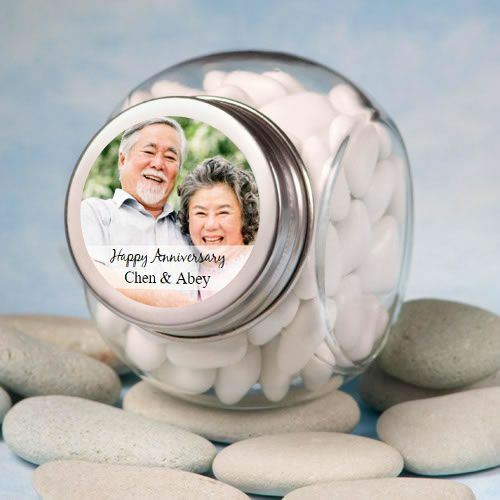 When you get your box of jars, there will be a sheet of labels also inside for you to place on each jar. 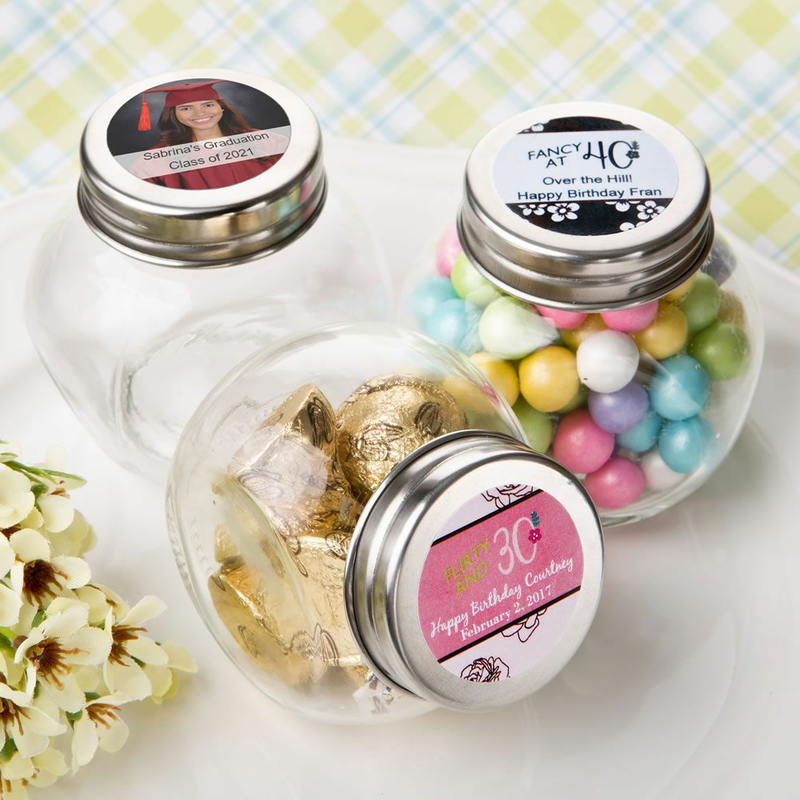 Many customers place mini wrapped candy inside each jar that measures s 2.5" x 1.75".